It’s been a while since I have written in my blog. For the past several months my life started changing and it led me to where I am now: in the middle of separation with my boyfriend, on my way of becoming a single mom, moving from our house to an apartment. I think that this is probably the toughest time of my life. I feel extremely strong and proud of myself for taking this incredibly hard step to finish something that has never been good from the start. I am thankful for all of the happy moments and memories and that is something I will hold on to. But the rest has to go! I never thought I would have the courage to do it. I was too comfortable and too scared of all the things that would come and the fear was constantly holding me back. But I am finally doing it and it feels great. In three days I will be moving out of the house where I spent almost 5 years. I feel a little sad for leaving all of my wonderful decoration projects here…something that I spent so much time and invested so much love in. But on the other hand – my new apartment is going to be an absolutely amazing adventure for me. To keep me focused I will be posting all of my renovation projects one after another. I will have to start with painting the walls and then go on with creating a gorgeous atmosphere. I want it to become really cozy and sophisticated. As I have very limited funds, it will probably be a lot of old furniture remodeling and painting. And I am sooooo looking forward to it. I have recently visited a photo gallery in Stockholm and was very much inspired by the photography of Elliot Erwitt. An amazing artist and photographer. 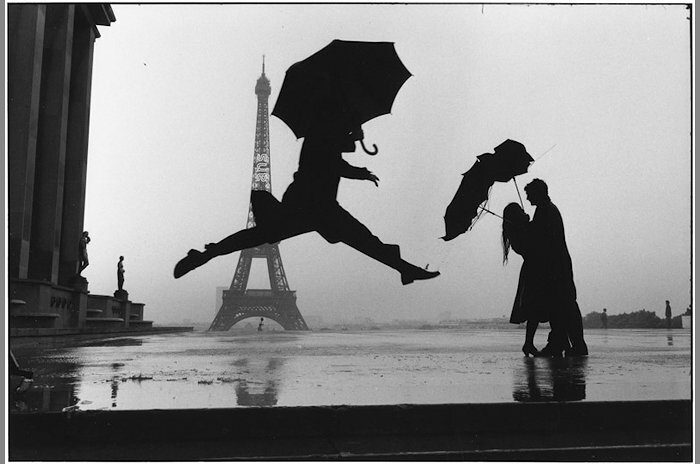 Elliott Erwitt is the photographer who notices details that most people miss, situations before they occur. “There is really nothing mysterious about photography”, Elliott explains. “It’s about observing. Often it’s a matter of luck and circumstance. Hopefully I haven’t taken my best picture yet.” I even bought one picture with me home that I will be putting up in my living room. I want my apartment to be a mixture of modern New York and sophisticated Paris of 1950s….I am looking for an inspiration now and I just cant wait to start! Stay tuned! Walk-in closet in 30 minutes!